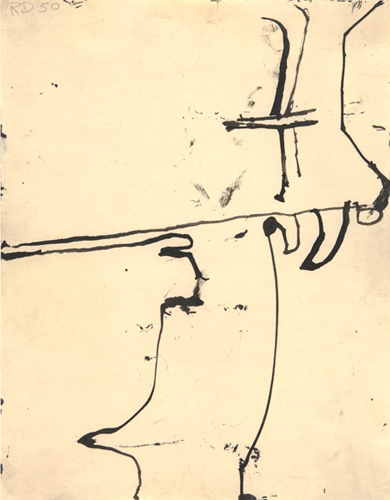 Between January 1950 and June 1952, Richard Diebenkorn was enrolled in the graduate fine arts department at the University of New Mexico in Albuquerque. Supported by the G.I. 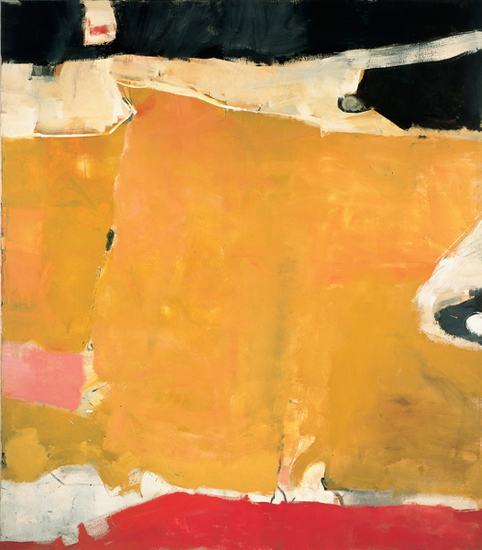 Bill and distanced from the art worlds of both coasts, Diebenkorn produced astonishingly mature and beautiful works which have, until now, remained relatively unknown. Diebenkorn in New Mexico: 1950–1952 brings together approximately fifty paintings and drawings from this period for the first time. A devoted individualist, the California-based artist is known for his Abstract Expressionist and figurative paintings as well as his revered “Ocean Park Series” of abstracted landscapes. Before moving to the Southwest, Diebenkorn had already studied art at Stanford University and the University of California at Berkeley. After his release from the Marines, he enrolled at the California School of Fine Arts (now the San Francisco Art Institute) in 1946; he joined the faculty there the following year. 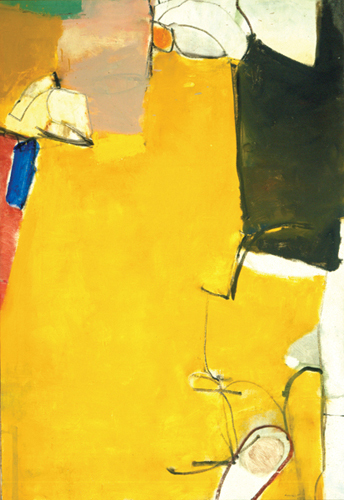 Diebenkorn in New Mexico posits that his time in Albuquerque provided an important fulcrum of what would become his mature aesthetic. 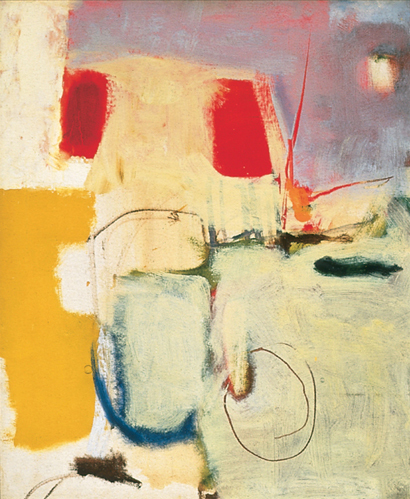 Critic Dore Ashton, who visited the University of New Mexico in 1950, notes: “One of my enduring memories was seeing, for the first time, a painting by Richard Diebenkorn—a golden vision of the Southwest, abstract, with small currents of shadow drawing by the winds in the sands, and filled with the special light that still emanates from his paintings.” Indeed, works featured in the exhibition offer new insights into Diebenkorn’s later style. Organized by the Harwood Museum of Art at the University of New Mexico, Taos, the exhibition will be accompanied by an illustrated catalogue including essays by Mark Lavatelli, Gerald Nordland, and Charles Strong. 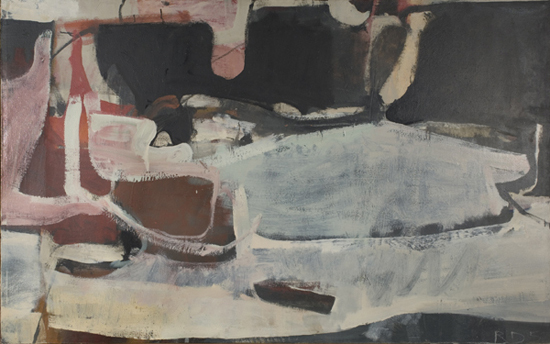 Diebenkorn in New Mexico is generously funded in part by the Thaw Charitable Trust and is kindly supported by the Diebenkorn family. The presentation at the Grey Art Gallery is made possible in part by the Abby Weed Grey Trust. Public programs are supported by the Grey’s Inter/National Council. Oil on canvas, 23 1/2 x 19 1/2 in. Oil on canvas, 42 3/4 x 69 1/2 in. Oil on canvas, 45 1/4 x 57 in. 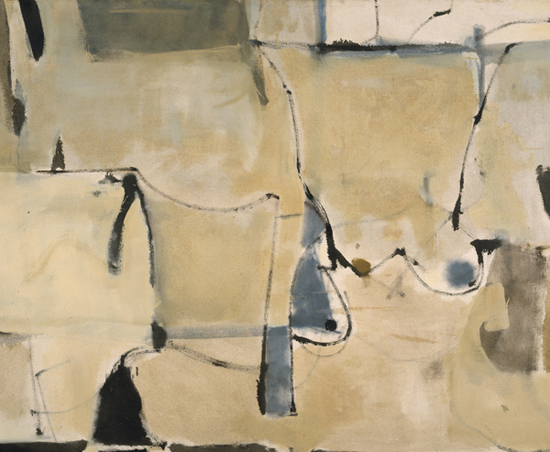 Untitled, 1951 Oil on canvas, 55 x 35 in. Oil on canvas, 68 3/4 x 60 in. 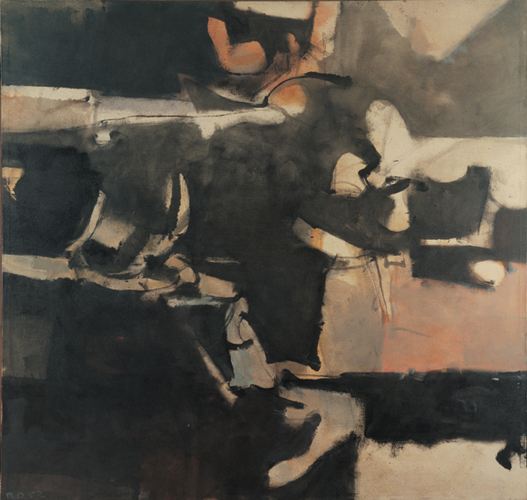 Diebenkorn in New Mexico is generously funded in part by the Thaw Charitable Trust and is kindly supported by the Diebenkorn family. The presentation at the Grey Art Gallery is made possible in part by the Abby Weed Grey Trust. Public programs are supported by the Grey’s Inter/National Council.